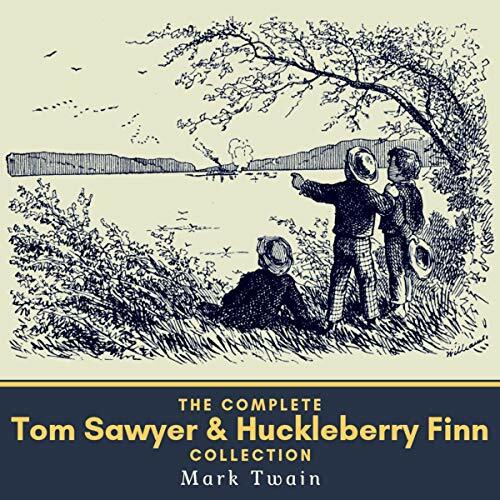 This is the complete Tom Sawyer & Huckleberry Finn audio collection of the four original stories written by Mark Twain. The Adventures of Tom Sawyer by Mark Twain is an 1876 novel about a young boy growing up along the Mississippi River. It is set in the 1840s in the fictional town of St. Petersburg, inspired by Hannibal, Missouri, where Twain lived as a boy. In the novel Tom Sawyer has several adventures, often with his friend, Huck. One such adventure, Tom's whitewashing of a fence, has been adapted into paintings and referenced in other pieces of popular culture. Originally a commercial failure the book ended up being the best-selling of any of Twain's works during his lifetime.